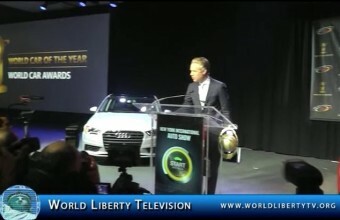 At a press conference hosted by the New York International Auto Show and Bridgestone Corporation, the Audi A3 was declared the 2014 World Car of the Year. Audi is no stranger to our World Car Awards program – now in its 10th year. Audi has now won a total of seven times, having previously collected the inaugural 2005 World Car of the Year title, three World Performance Car titles in 2010, 2008 and 2007, and two World Car Design of the Year titles in 2008 and 2007. The Audi A3 was chosen from an initial entry list of twenty-four vehicles from all over the world, then a short list of twelve, then three finalists: The BMW 4 Series, the Mazda 3 and the Audi A3. Rupert Stadler, Chairman of the Board of Management of AUDI AG, said: “The Audi A6 was the first ever winner of this award and we are delighted that the Audi A3 has repeated that achievement by being voted 2014 World Car of the Year. The Audi A3 showcases Audi’s technical competence in all aspects of carmaking, not least in the areas of lightweight technology, drivetrain, mobile infotainment and driver assistance systems. 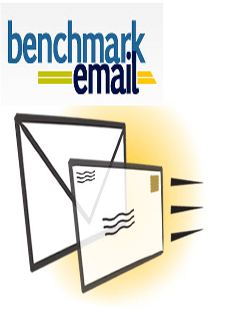 This major award win is an achievement that the whole company can celebrate”. The World Car Awards jurors observed that, “It might borrow styling hints from its bigger brothers, but the A3 still offers classic, chiseled contours and even better interior trim levels. With a superb choice of engines and 4 body styles, the A3 range packs a hefty premium punch in the small luxury segment. Audi should be complimented for making this A3 ride like no other A3. All the old shimmer over rough surfaces has gone, replaced by a silky smooth ride that approaches limousine quality”. To be eligible for the overall World Car award, the candidates must become available for sale on at least two continents during the period beginning January 1, 2013 and ending May 31, 2014. Vehicles are selected and voted on by an international jury panel comprised of sixty-nine top-level automotive journalists from twenty-two countries around the world. Each juror was appointed by the World Car Steering Committee on the basis of his or her expertise, experience, credibility, and influence. Each juror typically drives and evaluates new vehicles on a regular basis as part of their professional work. 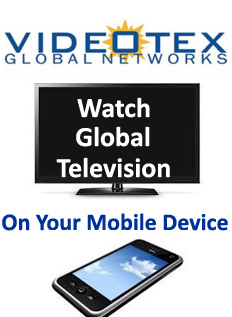 Through their respective outlets they collectively reach an audience of many millions world-wide. Previous World Car of the Year winners are the Volkswagen Golf, the Volkswagen Up! in 2012, the Nissan Leaf in 2011, the Volkswagen Polo in 2010, Volkswagen Golf in 2009, the Mazda2 / Mazda Demio in 2008, the Lexus LS460 in 2007, the BMW 3-Series in 2006, and the Audi A6 in 2005. Now in their tenth year, the annual World Car Awards are now the number one awards program in the world based on Prime Research’s 2013 report. The awards were inaugurated in 2003, and officially launched in January 2004, to reflect the reality of the global marketplace, as well as to recognize and reward automotive excellence on an international scale. The awards are intended to complement, not compete, with existing national and regional Car of the Year programs. The awards are administered by a non-profit association, under the guidance of a Steering Committee of pre-eminent automotive journalists from Asia, Europe, and North America. Peter Lyon (Japan) and Matt Davis (Italy) are the co-chairs; Jens Meiners (Germany), Mike Rutherford (U.K.), Eddie Alterman (USA), and Gerry Malloy (Canada) are the directors. There is no affiliation with, nor are the awards in any way influenced by any publication, auto show, automaker, or other commercial enterprise. 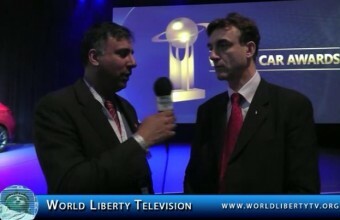 World Liberty TV, Motor Team was on Hand and did an Exclusive interview with Mr Peter Lyon ,Chairman of The World Car Awards, in the interview you will learn all aspects , about committees, voting , Choosing The Winning Car, and everything at the end is tallied by KPMG, and the winner is announced at the ceremony, watch this exclusive interview right here in our World Liberty TV, Motor Channel. As a part of today’s opening day ceremony, Governor Cuomo led the traditional parade of vehicles through the Javits Center by driving a 2015 Chevrolet Corvette Convertible. Governor Cuomo’s personal 1975 sky-blue Corvette Stingray, which he had restored, and his 2011 Harley-Davidson Electra Glide will be on display for the duration of the show, as well as a 1932 Packard Phaeton once owned by Governor Franklin D. Roosevelt and a 1967 Lincoln Executive Limousine once owned by Governor Nelson Rockefeller. 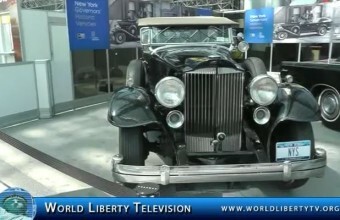 The vehicles once owned by Governors Roosevelt and Rockefeller were provided by the New York State Museum. Marcus Samuelsson was born into an eclectic culinary existence. Born in Ethiopia, he grew up in Sweden, cooking from its abundant local pantry at a young age alongside his grandmother, a professional chef. After graduating from the Culinary Institute in Gothenburg, Sweden, Samuelsson apprenticed in Switzerland, Austria, and France before finally coming to the United States—and bringing an already well traveled palate with him. 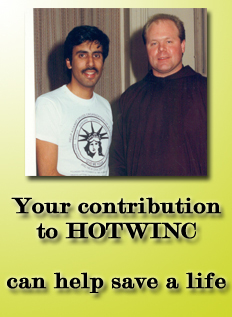 In 1995, he was hired as the executive chef at New York’s Aquavit, earning it three stars from The New York Times in just three months. Four years later, he was James Beard’s “Rising Star Chef,” and in 2003 the “Best Chef, New York City.” As plaudits came in, Samuelsson evolved from the wunderkind of Scandinavian cuisine (at a time when “Nordic” didn’t carry nearly as much weight) to exploring his roots. Again, his work didn’t go unrecognized. The Soul of a New Cuisine: A Discovery of the Foods and Flavors of Africa received a James Beard Award for “Best International Cookbook” in 2007. Since then Samuelsson has rocketed to the forefront of national and international culinary scene. He co-founded Townhouse Restaurant Group and wrote Aquavit and the New Scandinavian Cuisine, En Smakresa med Marcus Samuelsson, New American Table, and his memoir Yes, Chef. He’s appeared in myriad television shows, hosting “The Inner Chef with Marcus Samulesson” and judging for Bravo’s “Top Chef.” Most recently, he founded FoodRepublic.com and opened Red Rooster in Harlem and its sister speakeasy Ginny’s Supper Club. Samuelsson is an ambassador for the U.S. Fund for UNICEF; he also is a StarChefs.com Advisory Board member and serves on the board of directors of Careers through Culinary Arts Program. Volvo is a Swedish multinational manufacturing company headquartered in Gothenburg, Sweden. Its principal activity is the production, distribution and sale of trucks, buses, and construction equipment. Volvo also supplies marine and industrial drive systems, and provides financial services. Although Volvo was established in 1915 as a subsidiary of AB SKF, a Swedish ball bearing manufacturer, the auto manufacturer considers itself officially founded on 14 April 1927, when the first car, the Volvo ÖV 4 series, affectionately known as “Jakob”, rolled out of the factory in Hisingen, Gothenburg. Volvo means “I roll” in Latin, conjugated from “volvere”, in relation to ball bearing. The name Volvo was originally registered in May 1911 as a separate company within SKF AB and as a registered trademark with the intention to be used for a special series of ball bearing This idea was only used for a short period of time and SKF decided to use “SKF” as the trademark for all its bearing products. In 1924, Assar Gabrielsson, an SKF Sales Manager, and Engineer Gustav Larson, the two founders, decided to start construction of a Swedish car. Their vision was to build cars that could withstand the rigors of Sweden’s rough roads and cold temperatures. The company AB Volvo had no activities until 10 August 1926. After one year of preparations involving the production of ten prototypes, was set up to carry out the car-manufacturing business within the SKF group. AB Volvo was introduced at the Stockholm stock exchange in 1935 and SKF then decided to sell its shares in the company. 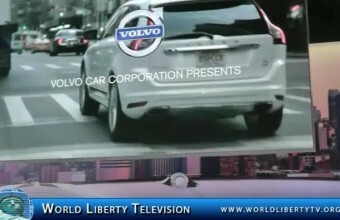 Volvo was delisted from NASDAQ in June 2007, but remains listed on the Stockholm exchange. In 1999, Volvo sold its car division Volvo Cars to Ford Motor Company for $6.45 billion. The Volvo trademark was shared between AB Volvo, where it is used on heavy vehicles, and the unit of Ford, where it was used on cars. Volvo stopped posting profits in 2005, and in 2008, Ford decided to sell its interest in Volvo Cars. In August 2010, Ford completed its sale of Volvo Cars to the Chinese motor manufacturer Geely Automobile (Zhejiang Geely Holding Group) for $1.8 billion. Stylish yet subtle, the 2014 Infiniti Q70’s combination of lavish equipment and dynamic performance makes it one of the more elegant choices in the luxury sedan realm, even with the stiff competition from Germany and America. Previously known as the M sedan, the 2014 Infiniti Q70 reaches its rivarly of the world’s best luxury sedans without copying them–it’s a true original. Striking, voluptuous curves and complex surfaces wrap an interior filled with warm wood, semi-aniline leather, and considerably more personality than you’ll find in comparably stark European alternatives. Both rear-wheel-drive and all-wheel-drive versions of the Infiniti Q70 are available, as are two different engines: a V-6 and a V-8. The Q70 3.7 RWD and AWD share a 3.7-liter V-6 engine rated at 330 horsepower; the Q70 5.6 RWD and AWD get a 5.6-liter, 420-horsepower V-8. All models get a seven-speed automatic transmission with manual-shift mode, rev-matching downshifts, and optional paddle shifters. Both V-6 and V-8 versions of the Q70 accelerate rapidly and shift smoothly. At Bentley Motors we are dedicated to developing and crafting the world’s most desirable high performance cars. Founded in 1919 by W.O Bentley, his mission was “To build a good car, a fast car, the best in class”. These words remain true today and we are still making responsive, comfortable and powerful Grand Tourers. The sedan version of the Bentley Continental, the 2014 Bentley Flying Spur drops its Continental moniker but remains three tons of air-conditioned, quilted-leather land-missile. Consider these numbers, which would have been fantasy just a decade ago: The 6.0-liter W12 engine now produces 616 hp and 590 lb-ft of torque, doled out in a 40/60 front/rear split by the all-wheel-drive system. A 110-pound weight reduction over the outgoing Flying Spur means the power-to-weight ratio improves by 14 percent; every 8.9 pounds gets its own horse. Sixty miles per hour is now achieved in 4.3 seconds, on the way to a terminal velocity of 200 mph. Keep it south of the century mark and a combined 15 mpg is available, rising to 20 mpg on the highway. The enthusiast luxury buyer may find the Bentley offers an unexpectedly entertaining driving experience. The owner who prefers to be driven will likely prefer the space and comfort of either the long-wheelbase German flagship sedans or the more upscale Mulsanne or Rolls offerings. 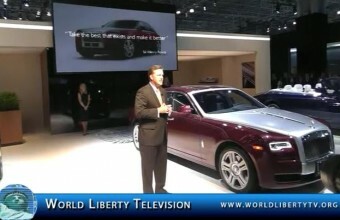 Rolls -Royce Motor Cars debuts Ghost Series II to North America. Ghost Series II delivers the latest industry-leading technology from Rolls-Royce clad in a subtle re-design. It exudes the timeless yet cool, modern luxury that the car’s customers, the Captains of Industry, entrepreneurs and successful business men and women who are the wealth and job creators in our economies, demand. The launch of Ghost Series II consolidates Ghost’s position as the most popular car in the $250,000+ class, and as a cornerstone of Rolls-Royce’s continuing success. In the last few years, Rolls-Royce has had great success in appealing to a larger North American consumer segment, specifically female and younger customers, through the introduction of new models such as the first Ghost model in 2009 and Wraith in 2013. The focus is to build an exquisite product that is unrivalled in craftsmanship, attention to detail, timeless appeal and features bespoke elements of the highest quality that American consumers demand – the Bespoke business was the strongest it has ever been in the US in 2013. The United States remains one of the most significant individual markets for Rolls-Royce, with a handful of markets experiencing remarkable growth. In February 2013, the company announced Rolls-Royce Motor Cars of Dallas, TX as its North American Dealer of the Year for 2013 for its sales, service and customer satisfaction. Protecting the popularity of Ghost’s iconic design while delivering the latest Rolls-Royce technology to its exacting customers, the subtle re-design of Ghost Series II begins from the front. 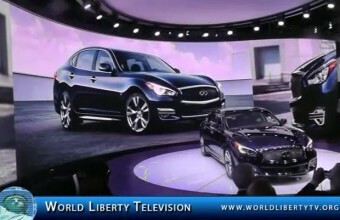 One claim to fame of the New York Auto Show is the annual awarding of the World Car of the Year Awards. The awards are a great honor, even more so when you win the overall World Car of the Year title as did the Audi A3. Timing was perfect for Audi of America. The team responsible for the USA had no less than an A3 e-tron, the newly announced A3 2.0 TDI Sportback, an A3 sedan, A3 Cabriolet and S3 sedan all on center stage… which made a great place to celebrate the award. In a class that’s full of compromise, we took a different path with the A3. It features uncompromising craftsmanship, and several Audi and industry firsts, like available 4G LTE Wi-Fi® hotspot connection, MMI® touch, and more. With standard leather seating surfaces and a large panoramic sunroof, the A3 sheds light on how a compact luxury vehicle can go big. Mercedes-Benz’s all-new 2015 C-Class has made its world debut, so engineers out testing different versions of the car have let their guard down a little, as these latest spy shots of the wagon variant confirm. Known as an Estate overseas, the new C-Class wagon should hit showrooms in markets where it’s sold by the end of the year. Though it’s yet to be confirmed, Mercedes is unlikely to offer its new C-Class wagon in the U.S. The automaker already offers an E-Class Wagon locally and low sales of luxury wagons make it hard to justify launching a second wagon. Buyers here tend to flock to crossovers and SUVs, which Mercedes has plenty of. 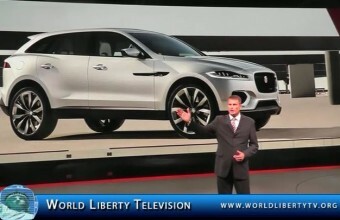 We hope it comes because the spy shots reveal a very tasteful and elegant design. 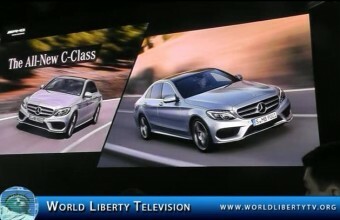 The rear window appears more upright than the window on the outgoing C-Class wagon. 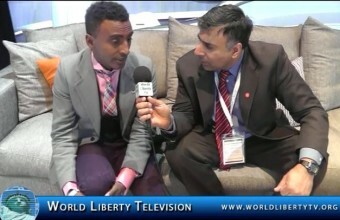 World Liberty TV, Motor team was on hand at the Mercedes Benz Press Conference, and had the pleasure of listening to Stephen Cannon, President and CEO, of Mercedes Benz USA, about the debut of the Mercedes-Benz’s all-new 2015 C-Class, see what he and his team had to say,right her in our World Liberty TV, Motor Channel. 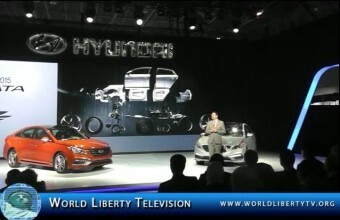 The new 2015 Hyundai Sonata , which debuts the new Fluidic Sculpture 2.0 design language, has been showcased at the 2014 New York International Auto Show . The 2015 Hyundai Sonata’s design is more refined and the car’s front end has become all the more sophisticated. It may be noted that the 2015 Sonata is considerably safer than the outgoing model, which is due to the increased use of Advanced-High Strength Steel (AHSS) on the platform. It’s becoming a trend to see more and more companies integrate their products with Apple’s CarPlay, whether it be car manufacturers or makers of in-dash systems. The latest to join the movement is Hyundai, announcing that navigation-equipped 2015 Sonata models will feature the recently unveiled in-car infotainment system from Apple. Hyundai says that adopting CarPlay was an easy decision for its engineers, since it provides an interface that’s already familiar to iPhone users and takes advantage of the new Sonata’s 8-inch touchscreen. More importantly, Hyundai’s plan to feature CarPlay makes it one of the more cost-effective brands to do so — and that’s a great thing. Ford Motor Company debuts the 2015 Ford Focus and 2015 Ford Focus Electric at its New York Auto Show press conference on April 16. The Focus range was updated slightly with a new engine option and additional tech features. One of the most notable is the inclusion of a back-up camera standard on all models. It will appeared either on a 8-inch screen that also features an advanced SYNC AppLink system. The system will allow users to link to more than 60 apps available through either the Apple App Store or Android Market. Consumers can also choose from a new SE Sports Package that includes new body treatments, paddle shifters for automatic transmission, a sports suspension and 17-inch black gloss aluminum wheels. 2015 Mustang 50 Year Limited Edition in Wimbledon White unveiled at Ford’s press conference at the 2014 New York International Auto Show. Fifty years after the introduction of the Ford Mustang at the World’s Fair, today the company will celebrate the milestone with events happening around the globe. Ford Mustang will become the newest member of a very exclusive club – vehicles in continuous production for 50 years. In its first 49 years, Mustang has gained a worldwide base of avid fans, including more than 5 million see articles and videos about the Ford Mustang and celebration of 50 years of continuous production. 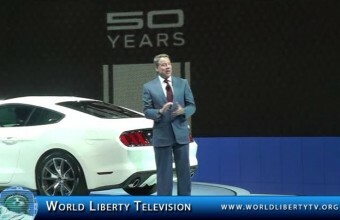 World Liberty TV, Motor Team was on hand at the Ford Press Conference ,Where The Ford Focus Debuted as well as the Mustang, presentations were done by Executive Chairman and the Great Grandson of Henry Ford, Bill Ford, Jr and Mark Fields COO, of Ford Motor Company.